I was getting spring fever, and decided to go to a Target that is way out of my way. Actually, where I live, they are all out of my way. 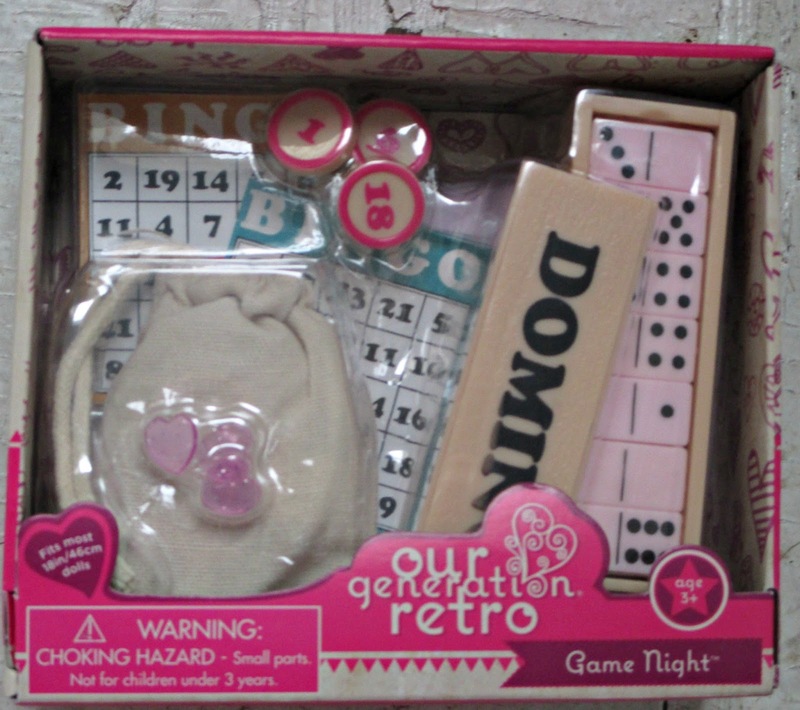 One is the retro Game Night set. I think it will be easy to print out more Bingo cards that look more historical and cool to go with the tokens. Bingo is a big family tradition. I want Melody's bingo set, but the whole set is just too expensive for me. American Girl needs to figure out a way to promote their brand and stop angering their fans, because Our Generation is definitely offering competition. This also offers an affordable alternative to Rebecca's Bedroom accessories, which includes dominoes. That set is just so cute though, be still my heart. I still did not find the Take a Letter typewriter set, grrr. Since they did have some of the new retro sets, they must have just sold out of it. That is SO annoying. I am trying not to beat myself up, but there's no way I could've gone to this Target earlier. 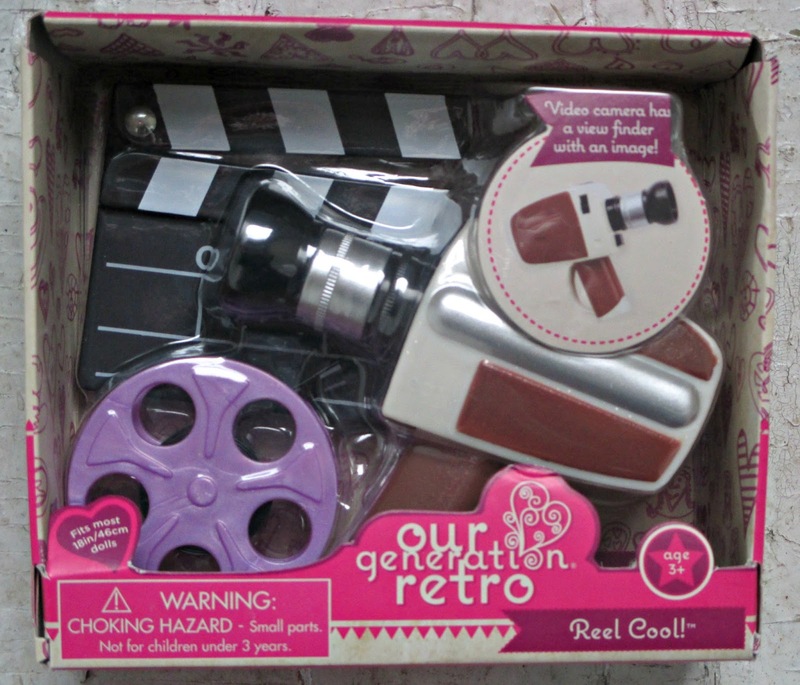 I found the retro Reel Cool set. Now I need to decide which of my dolls is the filmmaker! I think this set will give me an excuse to sew clothes from even more historical periods, and the justification will be that it is for a movie. 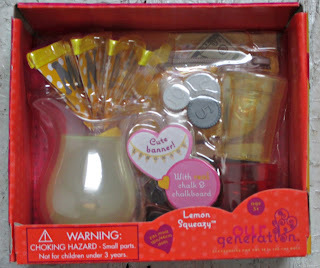 I also got the Lemon Squeazy set. Okay, this one has a really weird name. But I love that jug of lemonade. There is also a larger set that also has the lemonade jug. I am glad that I found the smaller set, because all I really wanted is that pitcher. I have also fallen in love with the online picture of Tamaya, and if I ever find her in person, she may be my first Our Generation doll. I found this in the dollar section at the entrance to Target. 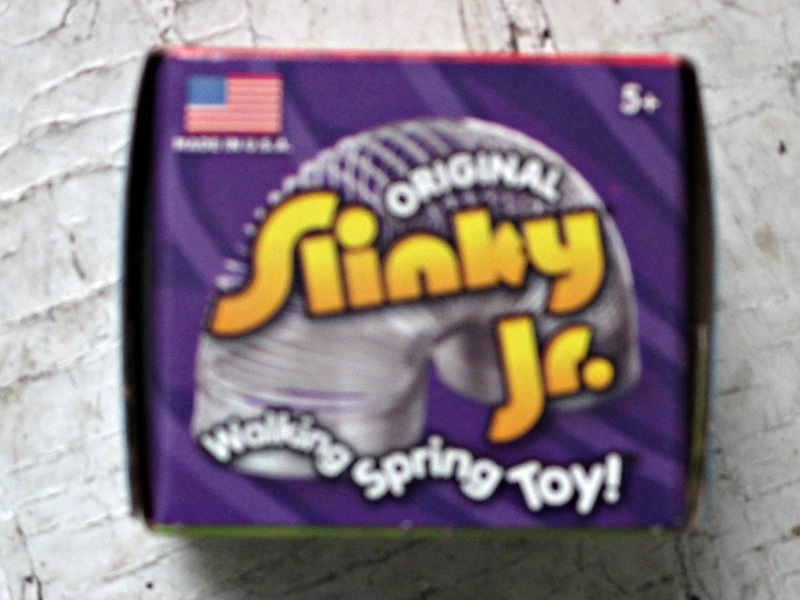 It's a mini slinky! It's a perfect retro toy for Maryellen or Melody! I continue to find many sets but not the typewriter, Hopefully I will find it someday!